On March 7th, our friends Roxanne and Scott came up from Tucson for the weekend. Roxanne's birthday was the next day, so we decided to take her to the local KMart Cruise-in to hang out together and celebrate. We even convinced Scott to drive LuLu (she drives well with others!). Tracy and the kids led the way with George, Scott and Roxanne followed along with LuLu, and John brought up the end of the caravan with the truck. 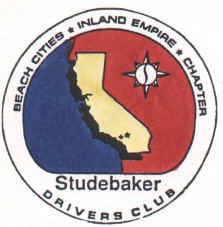 The best part was when we were stopped at a stop light and a man in the truck next to us asked if we were a Studebaker club! We drove into the parking lot at KMart and found it to be packed. We drove up and down the aisles until voila! Three spaces right next to each other! With a little careful maneuvering and some sweet-talking to the guy who was "saving" one of the spots for his friend, we settled in for some good times. A beautiful Avanti and a gorgeous '55 President were also present. 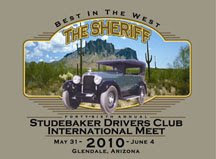 Studebaker was well represented! Who wouldn't enjoy spending some time in a '60 Lark wagon? When the kids get tired, they jump in the back of the truck and play. 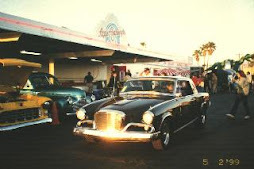 Scott, Roxanne, and the Studebaker Three. 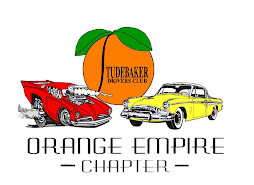 We were so glad that Roxanne and Scott came up to spend the weekend with us and share in some Studebaker fun. Happy Birthday, Roxanne!!! Hope you had as much fun as we did! For the first time ever, we decided to take all three Sudebakers to a car show. Luckily for us, the Basha High School Math Club had planned an event not far from our house. After careful planning and a few trips back and forth, we got all three cars in position for the show. Also at this event were a few oddball cars and trucks we don't see every day. These historic Kenworth trucks were awesome! John went to the snack bar really quickly once this peace officer started to check out the cars. Not sure why...maybe a phobia from his youth? This Bronco sat next to us and was owned by a local farmer. Unfortunately, those clouds in the background didn't stay pretty for long, and before long were were dealing with a fairly major wind and rain storm. The show was cancelled for the day and will be rescheduled at a later date. At this point, we ran into a slight problem...we still had to get all three cars back home! With only two drivers, we were playing rock-paper-scissors for which car had to be left behind when a very nice gentleman offered to drive one of our cars home for us. It turns out that he manages the website http://www.cruisinarizona.com/, the site we utilize to find out what car cruises and shows are going on around town! He didn't have any cars of his own in town and was eager to get in a little classic car driving time. John heroically handed over the keys to LuLu and we headed out in a caravan. 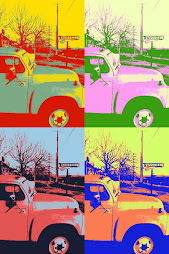 John went first with the truck, Tracy followed with George, LuLu was next in line, and the gentleman's friend brought up the rear in his classic Chevy truck. It was rainy and only some of us had working windshield wipers, but we got home safely and were very grateful that we didn't have to make another trip out to get the third car. 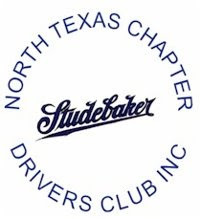 Sometimes the simple kindness of a stranger can really make your day...especially when that someone highly praises your new Studebaker and how well she drives! Another car from the show...obviously taken before it started to rain. All of the "shiny cars" hightailed it pretty quickly once the first drops fell! 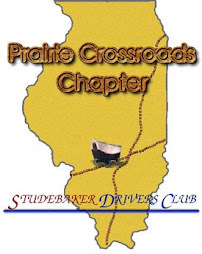 After the Studebakers were safely home, we headed out to have some lunch and drive around town a bit. A sign on the side of the road directed us to the newest showroom of Steel Dreamz, a dealership offering collector cars and car memorabilia. This sleek Hawk welcomed us at the entrance. 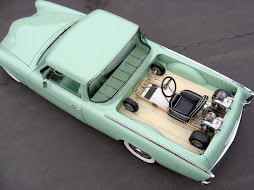 When the owner, Scott Cawley, heard that we are into Studebakers, he took us back and showed us his truck, a modified driver. The pictures really don't do this truck justice. It's absolutely gorgeous! We enjoyed our tour of the place and Scott's hospitality. You can learn more about this unique showroom at http://www.steeldreamz.com/. It's definitely worth a visit! Sometimes you come across a car that just really sparks your interest. You have to decide whether to take a chance...to purchase or to simply walk away. We took a chance and drove to California to pick up this little wagon and could not believe our good luck with what we found. Not a day has gone by that we haven't found something about this car that simply delights us! Stay tuned for a new addition! 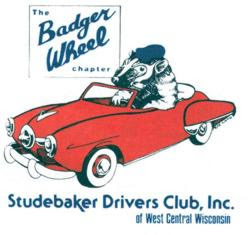 Silly G.D....Studebakers are for kids! We always love it when people ask us about our Studebakers, but it's especially fun to see kids enjoying them as much as we do. Our friend Scott brought his little girl down to visit with us at the Santa Cruz Valley Car Nuts' 16th Annual Car Show in Tubac on Saturday and she had a blast running around and looking at the cars with her daddy. Our daughter, Jilly, loves Daddy's truck and plays an active role in getting it ready for shows. She would scrub on our Studebakers all day long if we let her and enjoys climbing up in the truck bed every chance that she gets. 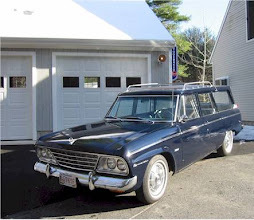 It's fun to have vehicles that are truly "family Studebakers." The kids love to go for a ride in George and Thayer thinks he's cool like Fonzie leaning up against his favorite '57 President! 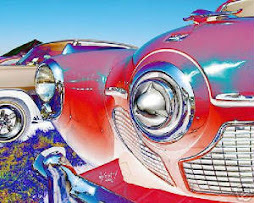 Our kids are fortunate enough to be able to experience classic cars in the way they were meant to be enjoyed and without the fear of scratching the paint or scuffing a white-walled tire (well, we TRY not to worry about these things any more than the average parent does! John IS a little obsessed with the truck's tires, though...) We can't help wishing that all kids got to experience car shows in the same way. We're sure it would do wonders for the future of these vehicles! This past Saturday, we were looking to shake off the Christmas tinsel and took the family and the Studebakers out for a night on the town. There weren't many cars at the local cruise-in, but there were plently of people to talk to and even a Silver Hawk that showed up. It's that time of year again, and this year we decided to turn going to get the Christmas tree into a new Studebaker tradition. With John in the truck and Tracy and the kids in the President, we headed down to the tree lot to find that perfect Christmas tree. Thayer and Jillian were proud to pick out this beauty and "help" get it loaded into the truck.